The cannabis industry has made incredible headways in terms of global legislation. Banned as part of the Controlled Substances Act in 1970 under President Nixon, cannabis continues to gain increasing acceptance and support 48 years after it was effectively criminalized, in major part due to its documented abilities to treat health conditions and diseases. In 2013, Uruguay becomes the very first country to legalize marijuana. The motion was passed in an attempt to curb drug-related crimes by regulating and taxing the plant, reducing the profits that illicit cartels could accrue in the black market. Five years later, Canada has become the first G7 nation and second overall to green light use of cannabis, both for medicinal and recreational purposes. The US has seen tremendous support and progressive movement in several states which have allowed for recreational or medicinal use, while states like California, Nevada, and Oregon have completely decriminalized it. Widespread recreational use is available in a few other countries such as Spain, Slovenia, Netherlands, while medicinal use continues to gain approval throughout the world in Australia, Puerto Rico, and others. Just like with any movement, there are always pivotal figures that play large roles in addressing social issues and bringing them to the forefront. As the battle for cannabis legislation continues, it’s a good idea to have an understanding of the key figures that propelled cannabis from its previously widely decried status to a more tolerated substance with substantial medicinal properties as evidenced by increasing clinical trials. It would be extremely remiss to exclude Dr. Raphael Mechoulam, the very individual that was instrumental in the discovery of tetrahydrocannabinol (THC), cannabidiol (CBD), as well as the endocannabinoid system, which is responsible for maintaining balance and optimum health in the body. Cannabinoids such as THC and CBD deliver its medicinal effects by stimulating the very system that Dr. Mechoulam discovered. By improving health through the activation of endocannabinoid receptors, cannabinoids could effectively increase the body’s ability to fight off diseases and various health problems. In an interesting story, Israeli scientist Dr. Mechoulam discovered THC by smuggling Lebanese hash from a police station in order to conduct his research, and the lifelong medicinal cannabis activist continues to push for increased studies on cannabis and its medicinal efficacy. Jack Herer was a key figure in cannabis activism. He documented the history of cannabis and how it was outlawed in his book, “The Emperor Wears No Clothes.” By criticizing prohibition and providing information on cannabis such as its benefits including commercial uses, the book gained a large following of cannabis advocates who supported his views. His influences were acknowledged when a marijuana strain was named after him. Created by Netherlands cannabis brand Sensi Seeds, the very popular and acclaimed strain is known for its powerful medicinal efficacy. 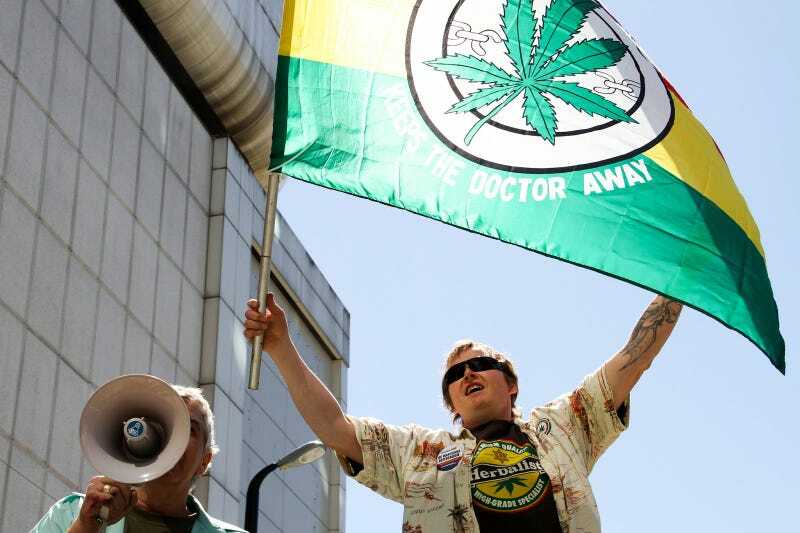 Although Herer passed in 2010, his book continued to influence many cannabis activists such as Steve DeAngelo, who became influenced by the book and went on to partner up with Herer to tour the world to rally support for cannabis legalization. DeAngelo was a member of the Youth International Party that utilized effective strategies like smoke-ins as a part of cannabis rallies. He became another massive presence in the cannabis movement, having also founded Harborside Health Center, the largest marijuana dispensary in the world. His role in establishing the ArcView Group also established a connection for investors to target attractive opportunities in the cannabis sector, while also ensuring that capital could be used to develop and expand on the existing infrastructure. Canadian cannabis figurehead Tommy Chong played a large role in introducing cannabis to the big screen through the Cheech and Chong series, alongside co-star Cheech Marin. The film helped to reduce the overwhelmingly negative public stigma on cannabis and its use, instead choosing to portray it in a comedic matter that people could relate to. Chong continues to be a major figurehead in the cannabis industry and has also endorsed a premium CBD brand called Chong’s Choice through Diamond CBD, a subsidiary of PotNetwork Holdings, Inc. (OTCMKTS:POTN). POTN extracts CBD through a meticulous process involving CO2 to refine the CBD oil, removing any impurities and preparing it for commercialization to allow consumers to benefit from its strong healing effects and is now used as the main component of the company’s various products. Back in 1970, Keith Stroup established the National Organization for the Reform of Marijuana Laws (NORML), which would become one of the most pivotal marijuana advocacy groups and pioneers of cannabis reform. NORML helped pave the way to changing cannabis regulation and was the very first to file a lawsuit against the DEA in order to push for legalization of medicinal cannabis. The former NORML executive director continues to serve on the board today and is widely recognized for having a major impact on the fight against the prohibition of cannabis, as evidenced by the numerous states today which have legalized medicinal or recreational cannabis. Jane West is among the most recognized women in the cannabis industry, owning a cannabis lifestyle brand called Shop Jane West, which provides cannabis merchandise such as pipes and other smoking devices. West also established an extensive cannabis network called Women Grow that holds events for professionals in the industry to connect and help spur innovation in the sector. Interestingly, if West had never been fired from her job as a manager for being seen smoking on CNBC, she may never have gotten so deeply involved with cannabis reform and empowering women through her activism. There were many people who influenced cannabis activism since it was branded as an illegal drug with a high potential for abuse as well as lacking any medicinal uses. Through the efforts of pivotal figures in the history of cannabis legislation, cannabis has gained increased acceptance throughout parts of the world as studies done on its medicinal efficacy continue to pour out and assist people suffering from pain, depression, and debilitating conditions.